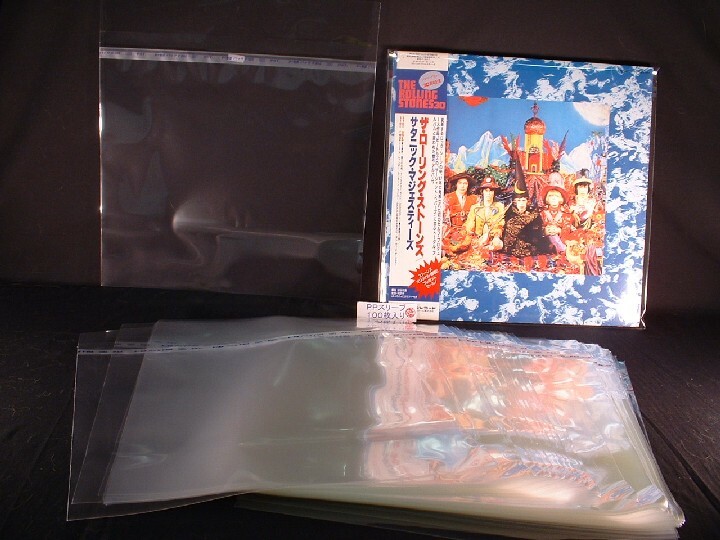 100 ($29.99) or 50 ($16.99) pieces of resealable outer sleeves for 12" records. Made to our specs and 40 microns thick. Japanese writing on peel off strip.